A fighting century from Ravi Bopara wasn’t enough for Essex as Hampshire completed a comprehensive innings win on the final day in Southampton. Bopara, who had already gone past fifty by stumps on the third day, lost his partner Ryan ten Doeschate in the morning for 36 but went onto fight alongside Simon Harmer to try and delay the inevitable. The duo fought valiantly after adding more than 100 while batting for 35 overs to eat into the deficit. 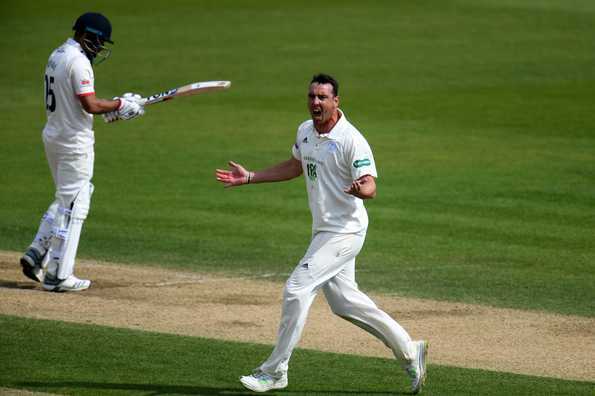 In the process, Bopara brought up his 30th first-class hundred to frustrate Hampshire. But just when slight hopes of a draw were surfacing, the hosts made a crucial breakthrough when Kyle Abbott had the centurion dismissed to end the 111-run stand. From thereon, the innings suffered a collapse with Abbott cleaning up the tail to finish with a five-fer.